Grab your hat and torches, it’s time to explore deep into the Temple of Isis. This slot game will no doubt remind you of the likes of Indiana Jones, as you become an explorer and take on those catacombs for yourself. This sandy slot game has a treasure trove just waiting for you to discover. 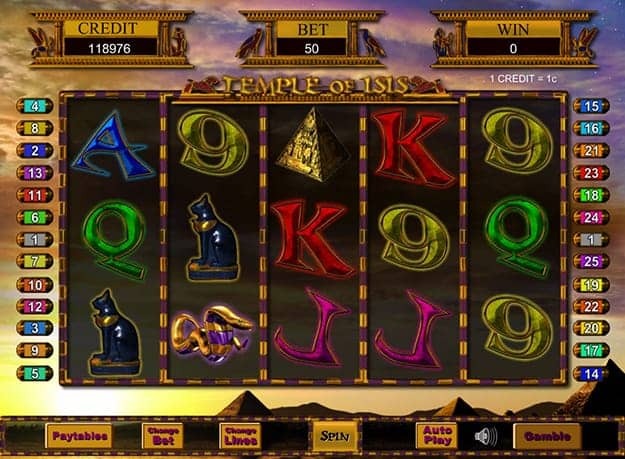 The Temple of Isis slot is an established fan favourite, with a plethora of bonus features for you to check out. We love this slot because it has a great theme but also loads of special features to make it worth your while. This game will instantly transport you away to the sandy dunes of the desert, where you’ll need to quest for your jackpots.There are a total of five reels to play with in this game, with a selection of different symbols on them. They range from playing card symbols to the special symbols of the game, which are worth so much more. You can check out all of the individual values in the paytable, which is only ever a click away. This means that you’ll always know exactly what to expect with this game! When you open the paytable of the Temple of Isis slot game, you will see the details of the wild and scatter symbols. The wild is the priestess and she appears on the reels to make your game more rewarding. She’s capable of substituting for all of the regular symbols on the game to make it easier for you to win. The scatter symbol is also a pretty precious one and one worth watching out for too. This golden pyramid can give you a payout from any position on the reels. It’s also responsible for rewarding you with those all-important free spins when you manage to land three of them. Earn 15 free spins when you get three of these symbols anywhere on the reels. We also have the gamble function within this game, which just adds some more treasure into the game. It effectively quadruples the max jackpot for the game, as you can use it to double or quadruple your bet if you’re lucky. You can keep going in this round until you get it right five times or until you get it wrong once. This game is also available for you to play on your mobile device too! That means that you never need to miss out on all of the action that it offers. It can fit any size of screen, whether you have a smaller smartphone or a larger tablet. 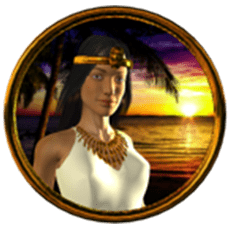 The interface changes a little to make it easier for you to interact with but other than that it’s the same great game!Stay on your toes when you play this game and you might just discover the wealth of the pharaohs. With bonus features and all that flexibility over your bet, it will become your favourite slot in no time at all. We hope you manage to get your hands on that fortune.